When I was transforming my grandparents photo albums into pocket page scrapbooks. (You can read about that project HERE.) I was concerned about how I was going to take care of these priceless photos that are irreplaceable. I knew vintage photos needed special care so I started researching how to care for old photos. There wasn't a ton of information out there but I did find a few helpful tips along the way. 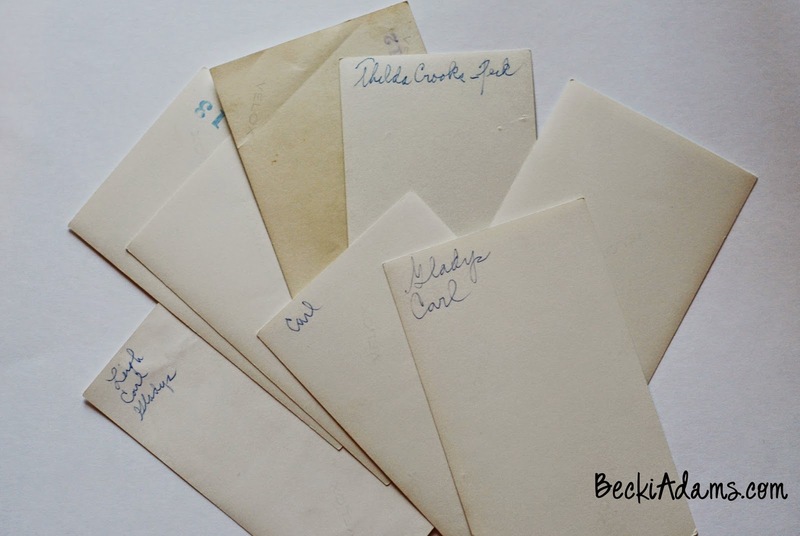 In preparation for my class "Gifts from the Past: Scrapbooking Heritage photos" I thought I'd share with you a few things I learned about how to care for old photos. Remove photos from albums that are not of archival quality. To safely do that I personally recommend removing photos from the adhesive by carefully placing a piece of dental floss under one corner of the photo, then, with a gentle sawing motion loosen the photo away from the adhesive backed page. You can find some alternative methods including using Un-Du Adhesive Remover in THIS article. 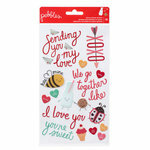 Store photos in a cool dry place (specifically away from light and humidity). Spray documents and newspaper clippings with a spray that neutralizes the acidity such as Archival Mist or Krylon Make It Acid-Free . Don't use adhesive directly on irreplaceable photos and documents, always use photo corners. I prefer self adhesive photo corners. My favorite photo corners are manufactured by Canson. They come in a few different colors (Black , Transparent , and Gold ). Now, lets talk a little bit about what NOT to do with your photos (vintage or current). Never write on the back (or the front for that matter) of a photo. The pen will eventually bleed through to the front of the photo. If you MUST write on the photo write the information on an archival quality label with archival quality pens. American Crafts Precision Pens are my absolute favorite. Never crop a Polaroid photo. If you do, the image will disappear over time. Also, never write on a Polaroid photo. The ink will bleed into your photo. One final note, remember, ALWAYS scan those priceless photos before you put them into new albums. The scanner I use has been discontinued by the manufacturer. I found the Kodak P570 Personal Photo Scanner that is very similar and has great reviews. You can always take photos of your photos. I hope I've shared with you something you can use about how to care for old photos. Thanks for stopping by today. 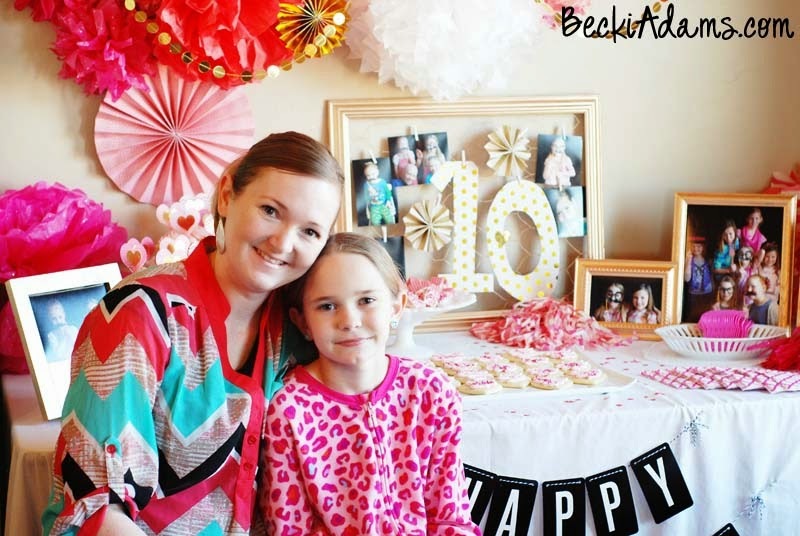 Remember when I blogged about stepping down from the Bella Blvd design team? Well, I miss being a part of the Bella Blvd family. I miss the people I got to work with and I miss working with Bella Blvd's products. Today I'm happy to say that I won't be missing them anymore! 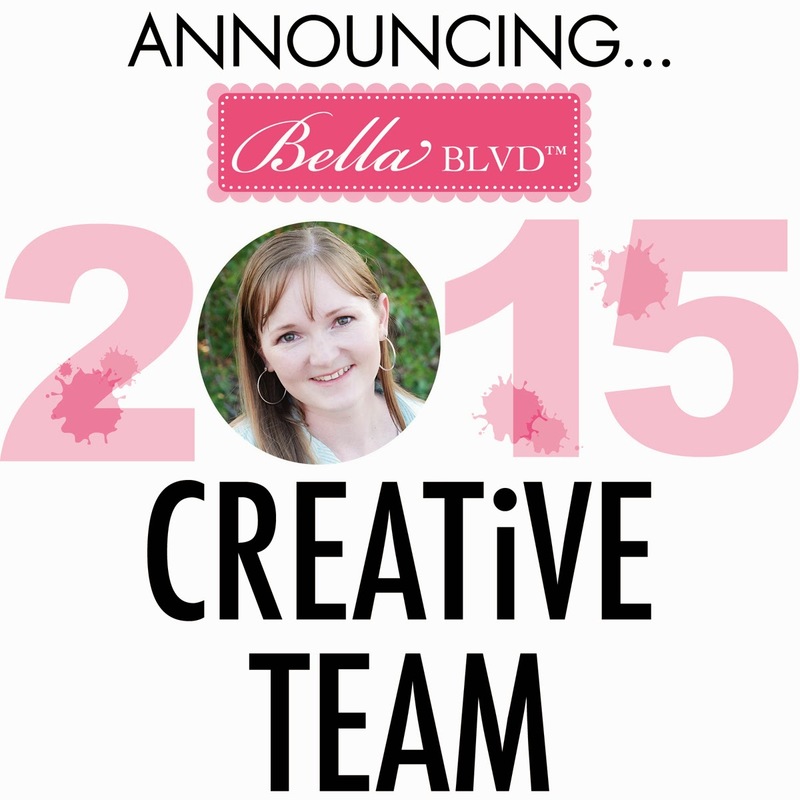 I'm on the Bella Blvd 2015 Creative Team! 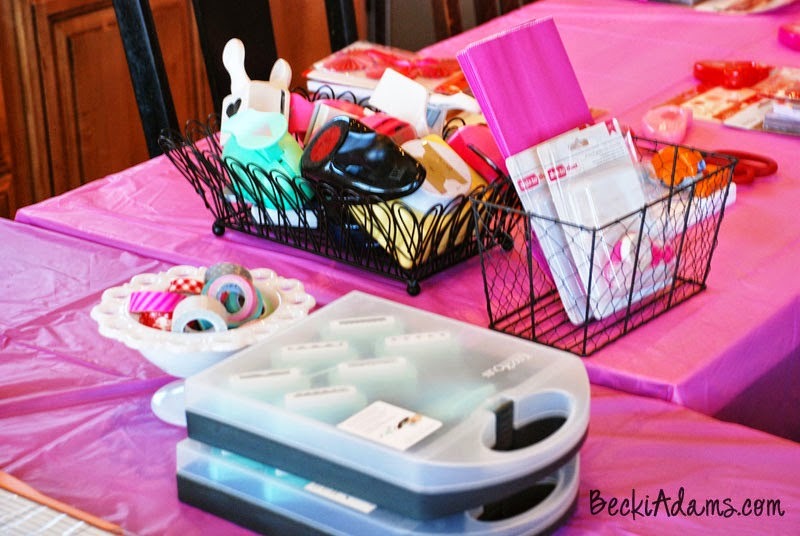 I can't wait to dig into Bella Blvd's latest and greatest products and share all my projects here with you. If you haven't already, sign up for my newsletter so you won't miss anything. 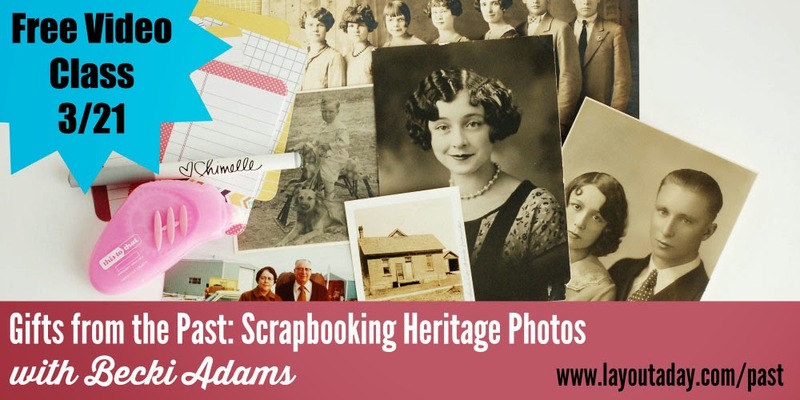 Introducing my next FREE class; Gifts from the Past: Scrapbooking Heritage Photos. 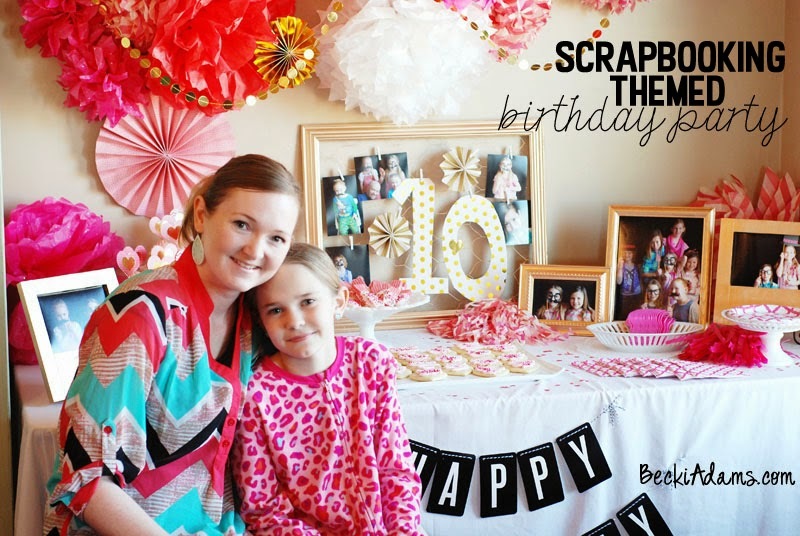 Today, I am thrilled to announce that I will once again be teaching a Scrapinar with Lain Ehmann from layoutaday.com. 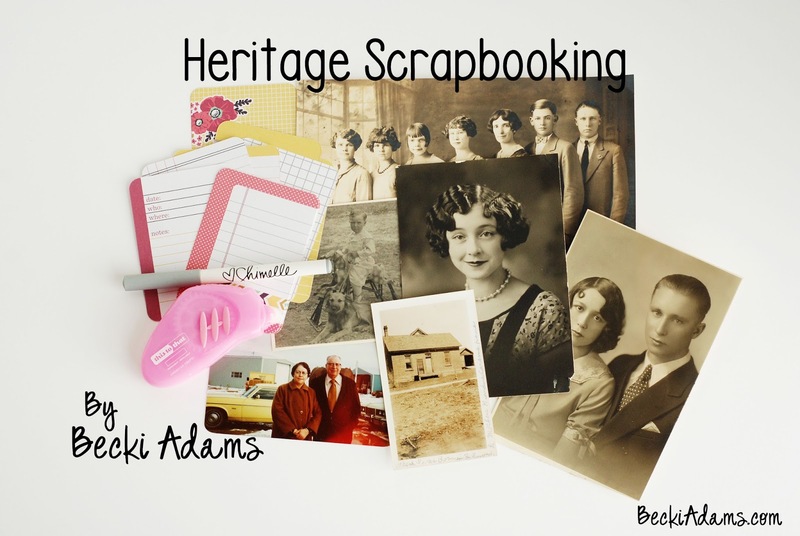 This class is FREE and will be focused on Heritage Scrapbooking. You do need to preregister for this class but it is completely FREE. You can register for this class HERE. I'll see you soon! I'm so excited for this class, I know you'll LOVE it! 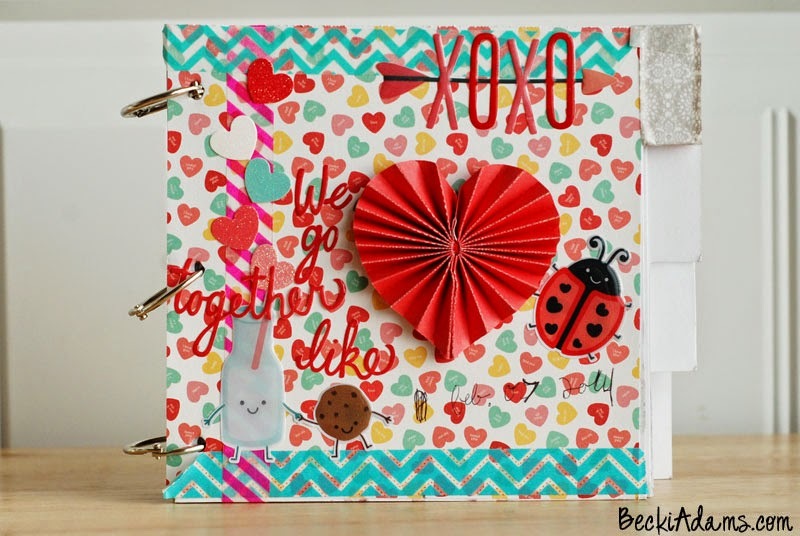 I used lots of goodies from the new Bella Blvd Color Chaos collection and lots of the new Doodads and enamels and chipboard. 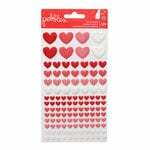 I love Bella's chipboard . 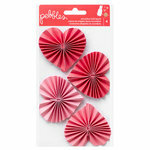 It's one of my very favorite embellishments. 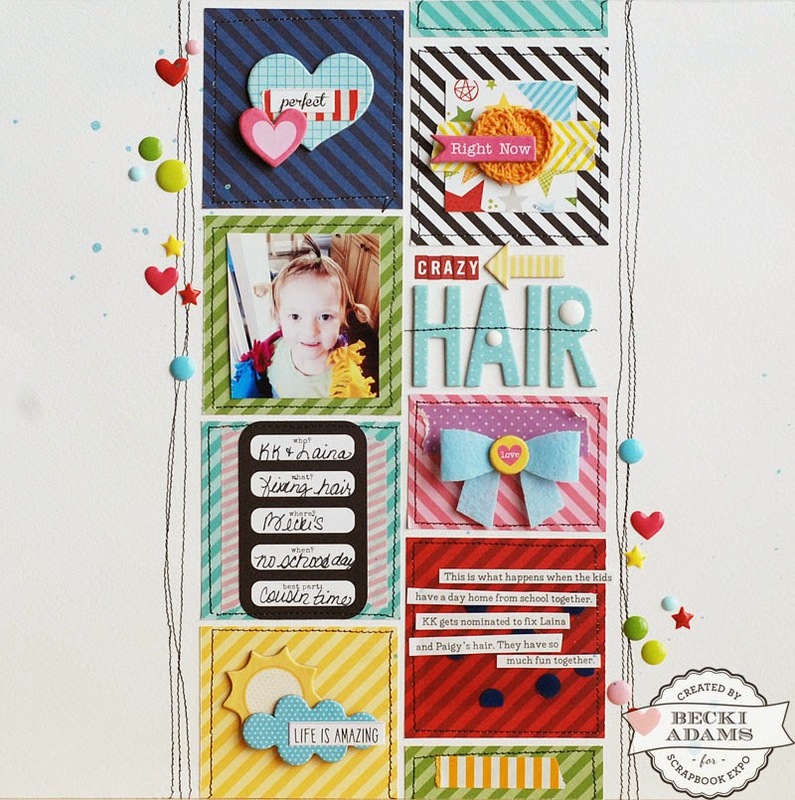 Now, hop on over to the Scrapbook Expo blog. There you'll learn a little bit more about me and see a few more layouts I created. As you all know memory keeping is my passion and is a life style for our family. 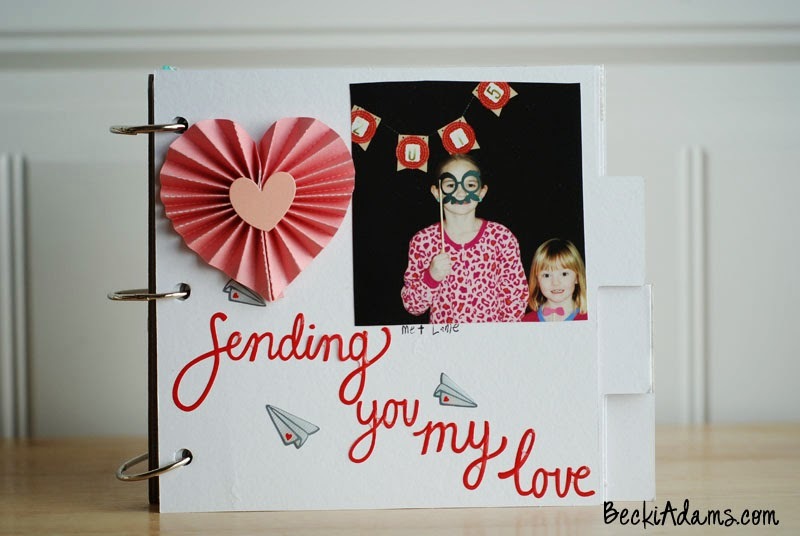 I am also passionate about sharing my love of scrapbooking. I do that mostly here on my blog but I also want to share that passion with kids. 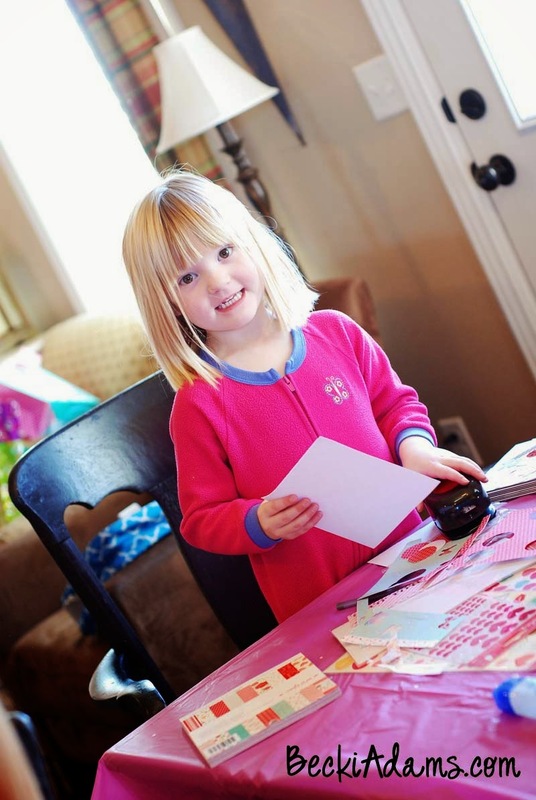 I think it's so important that they learn how and why documenting memories is important. 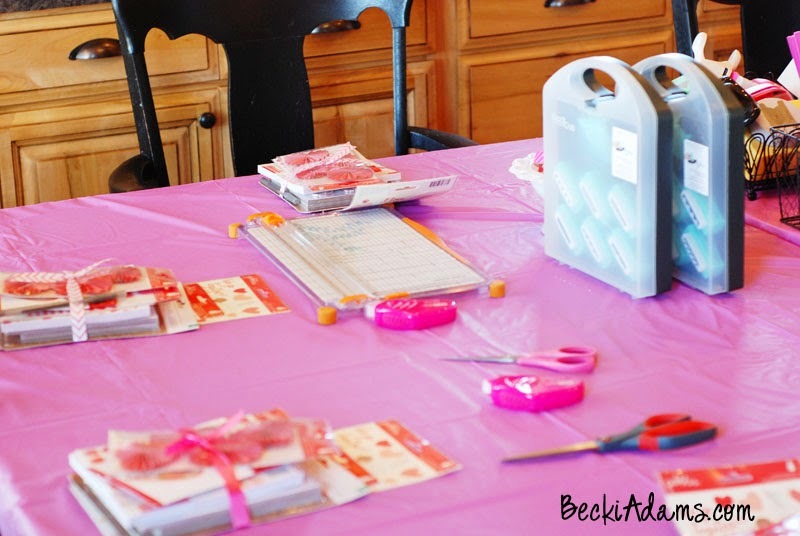 That's one of the reasons we (my daughter and I) chose a scrapbooking themed birthday party for her. 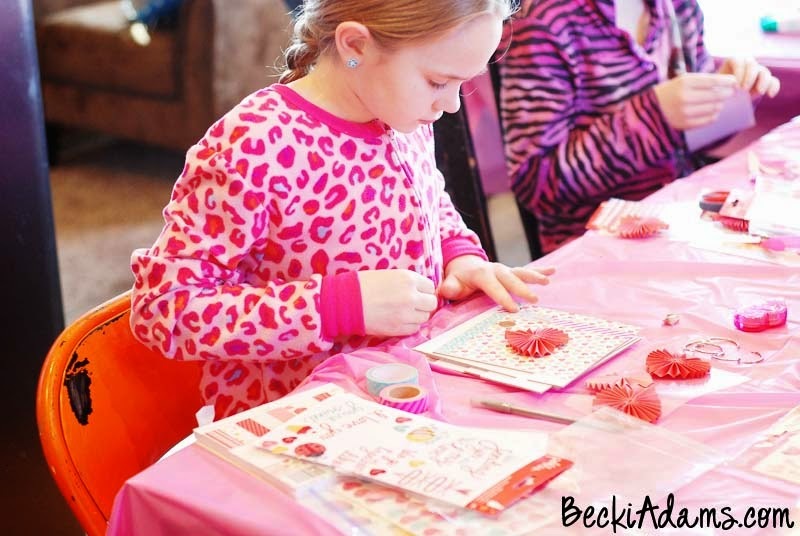 My little girlie's scrapbooking themed birthday party was a huge hit. (If you missed part 1 you can find it HERE.) We had so much fun (me and the girls). The first thing we did when the girls arrived was took lots and lots of photos. 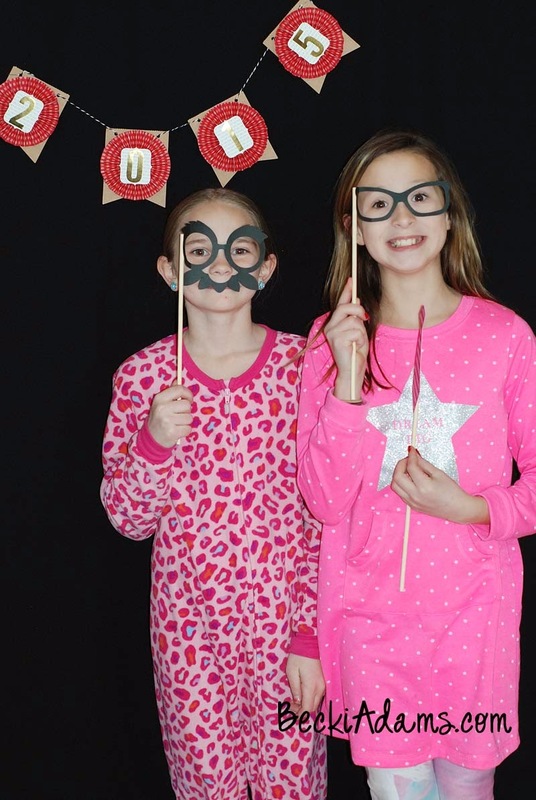 I set up a photo booth in the basement using a black backdrop and a few photo props that I created using my Silhouette Cameo and a few dowels . The photo booth is one area that I was a little bit disappointed with. I forgot to test the lighting out before the party and I ended up having to use the flash on my camera so the photos didn't turn out as good as I had hoped. After we took A LOT of photos in the photo booth I sent my husband on a mad dash to the one hour photo. 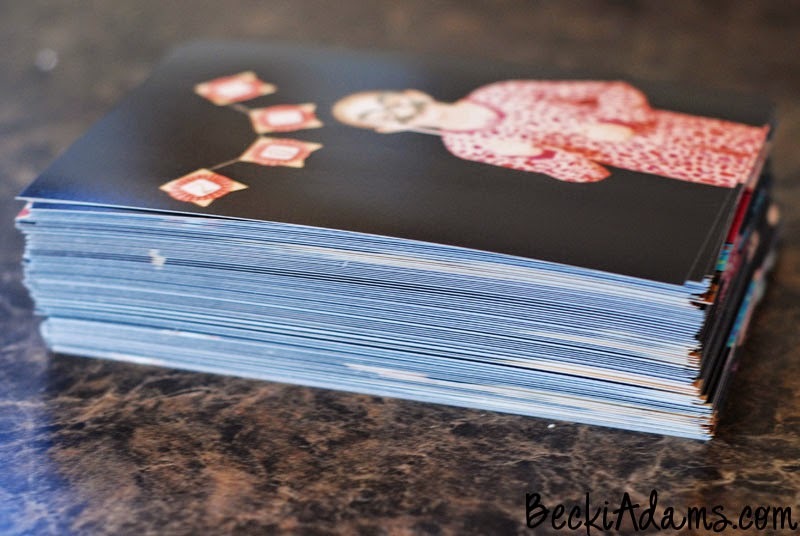 He came home with a HUGE stack of photos. 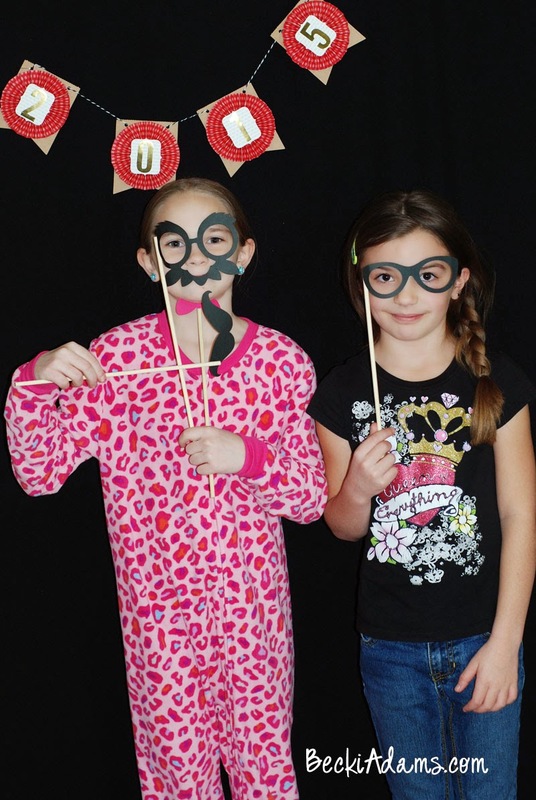 I had him print enough duplicates so that each girl had her own set of photos from the party. 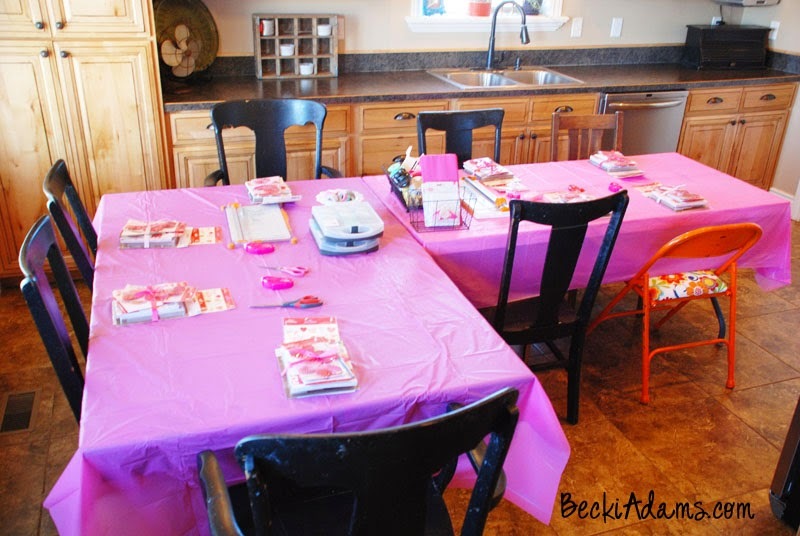 We had the tables set up in my kitchen with American Crafts This to That adhesive and a few tools scattered down the center of the tables. Each girl had a stack of her very own brand new supplies to play with. 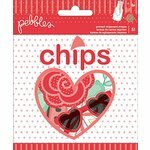 I chose the Pebbles We Go Together collection because it's such an adorable collection and the party was so close to Valentines Day. 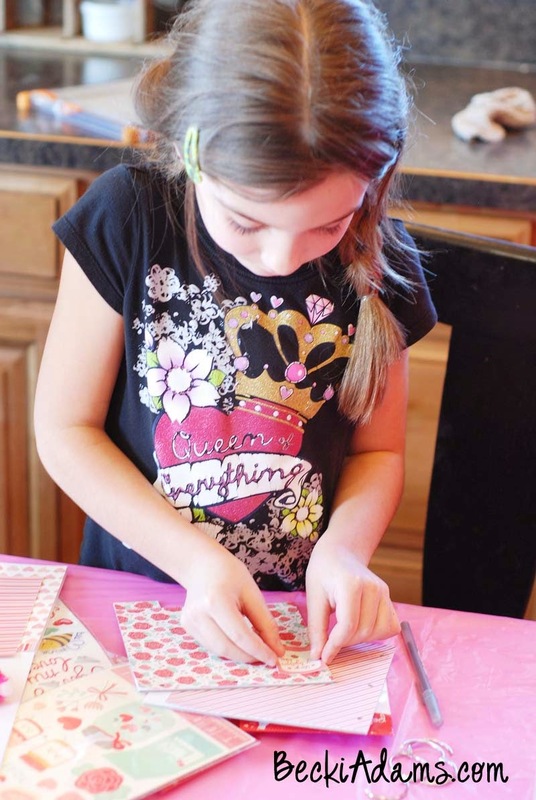 To say the girls had fun playing with all the pretty paper, stickers, and glue would be an understatement. They giggled, laughed, and had so much fun looking at and playing with all the photos we took. 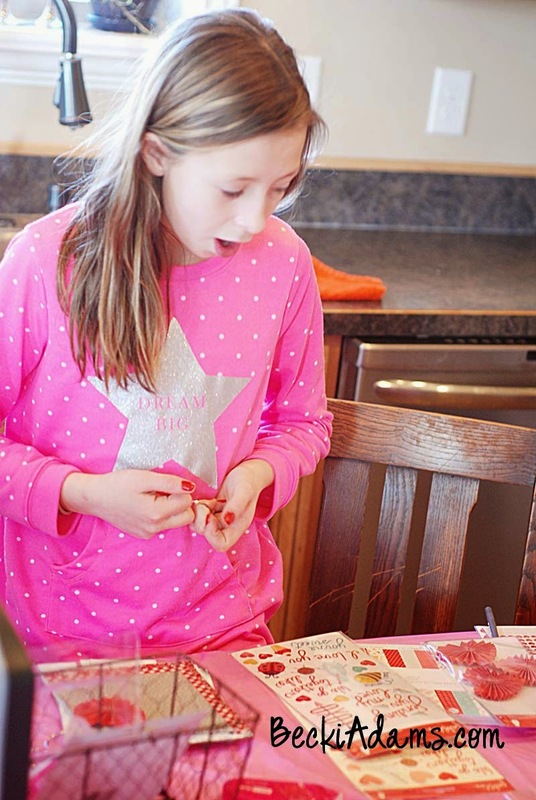 I do think that I'm going to have her go back and add some journaling to her pages. I want her to document her thoughts and memories from the party. Overall, I think the party was a huge success. At the end of the party I had a happy little girl and that's all that matters. 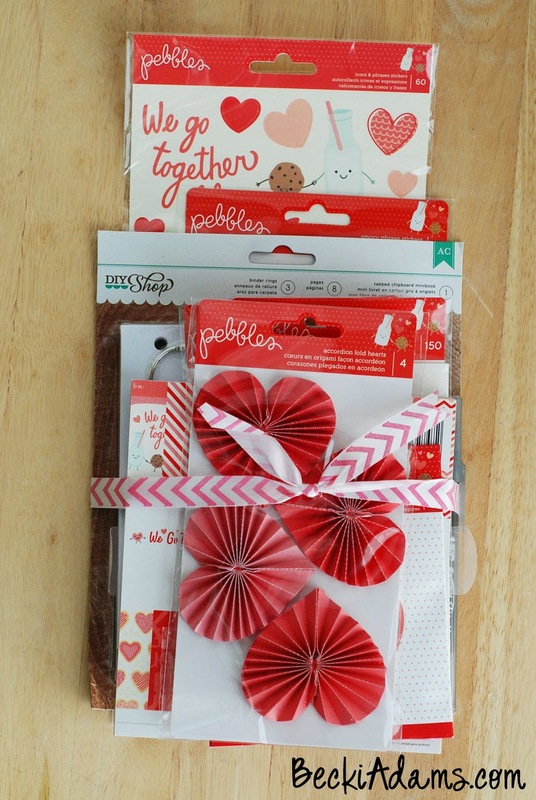 This stack of goodies includes a 6x6 chipboard album, a 6x6 paper pad, and a bunch of embellishments. 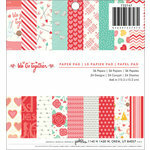 The paper pad and embellishments are from the We Go Together collection from Pebbles. Thanks for visiting me today! I'll be back to announce the winner on Monday March 9th. Good luck!